THE SIGN UPS FOR THE SUMMER EDITION HAVE OPENED! Hello! 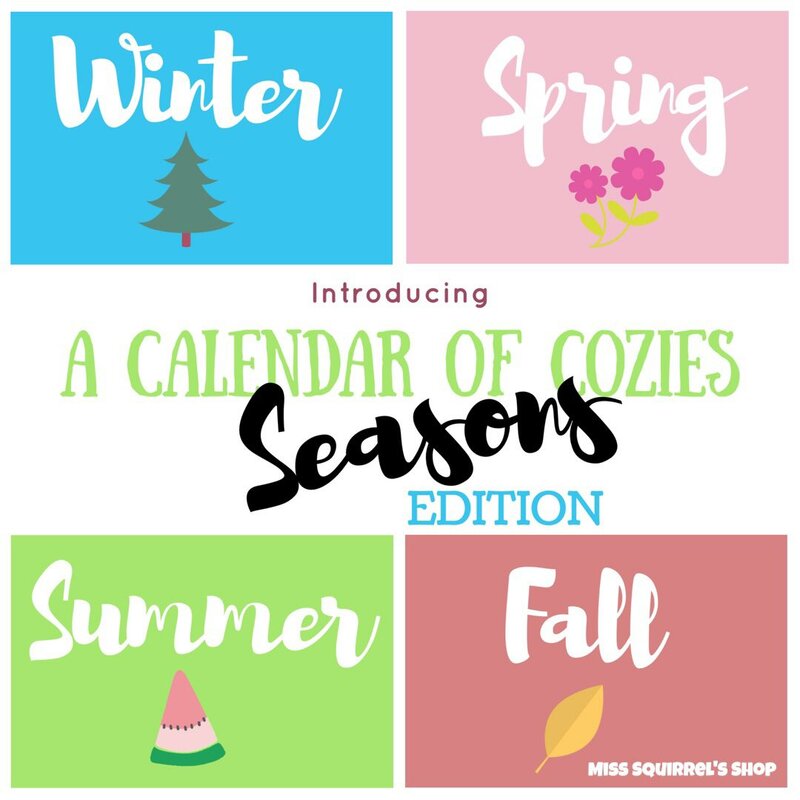 Thanks for coming over to check out the Calendar of Cozies Seasons Editions! The FULL Calendar of Cozies has had a wonderful reception, and in addtion to those who are in love with getting a new themed cozy every month, there are some who have expressed a wish that there were smaller "chunks' of the calendar available..... and from that the Seasons Editions began. The Summer Edition includes June (Watermelon), July (Stars), and August (Apple). Just like the Spring Season, there will be LIMITED SPACES AVAILABLE for the Summer Season. I will announce on social media once it begins, when it is almost full, and when the spots are all taken. And while the FULL CALENDAR is ALWAYS available, I will be sure to post openings for the following Season Editions in plenty of time so that more people can sign up! THE DEADLINE for signing up for the Summer Season is MAY 15, 2018. After that date you can still purchase individually from the shop, or even sign up for the whole calendar- but the SUMMER SEASON sign-up will be closed. You can choose from 2 different payment options below. One option allows you to pay automatically $13 a month for 3 months. The other saves you $3 when you pay $36 just one time. 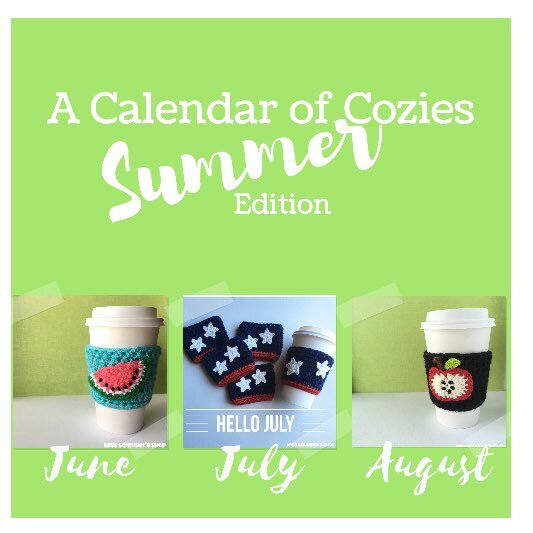 Either way you choose, your cozies will ship automatically to you each month. Oh yeah, and SHIPPING IS INCLUDED in the prices!! The buttons are labled below for each form of payment. I wouldn't wait on this decision too long- along with the FULL Calendar subscribers and The Shop I can only accept a small number of Winter Edition Subscribers! Use this option to pay $36 in full and SAVE $3.00 through PayPal! If we are signed up for the monthly, will we be getting these already?